When we walk into a casino, there are two things that immediately grab our attention — slot machines and table games. There are a plethora of popular casino card games, with people flocking to challenge themselves against other players (or the house). Unlike slots, which are a game of chance, these rely on your skill and experience. It takes years to master how to play casino card games, which even allowed players to turn it into a profession. Naturally, there’s a learning curve to them. Getting the hang of these games is the first step towards reaching the promised land of consistent winnings. We’ll now go through some of the most played games. High card — when you don’t have anything, you play with your highest card. For example, a Ten beats a Five. This rule also comes into effect when players have a hand of the same ranking, meaning that a Four of a Kind with Threes loses out to a Four of a Kind with Nines. Royal Flush — Royal Flush is the strongest hand in the game. It’s basically a Straight Flush with the best-valued cards. Royal Flush can be of any four suits, but only the following card sequence applies: 10-J-Q-K-A. Out of all poker games, most frequently played is Texas Hold ‘Em. The dealer deals two hole cards to each player. After that, they place five cards on the table (community cards) in three rounds — the flop, turn, and the river. In between dealing rounds, there’s a betting round every time, during which you can raise the bet, call it, or fold. If no one raised before you, you can just check, which basically means you didn’t do anything, and the game goes on. If you know your way around Texas Hold ‘Em and you feel like learning how to play another casino card game, Omaha will be the easiest one. The rules are similar to Texas, with the exception of the dealer dealing four hole cards at the start. Additionally, you cannot play the board (i.e., not use your hole cards when counting cards for a hand). You always need to combine three community cards and two of the cards in your hands. This rule is the one that most newcomers overlook, and as a result, lose their games. 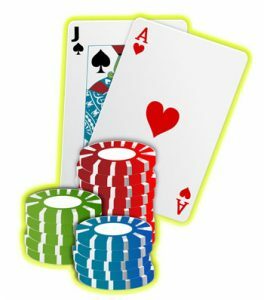 Further on, there are multiple different poker games which have their own set of particularities. Out of the bunch, Seven-Card Stud Poker is the most prominent one. 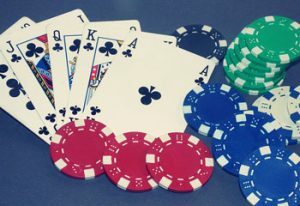 Seven cards are dealt to players, three of which are facing down. Every player needs to make an ante bet, which means they need to chip in regardless of which cards they get. In the end, the winner is the player with the best five-card combination, according to the aforementioned rankings. Other popular poker variants are Three Card Poker and Pai Gow Poker. Blackjack and Baccarat are next in line when it comes to casino game popularity. What makes them so popular is the house edge they come with. Blackjack house edge varies from 0,28% to 1,5%. Similarly, Baccarat comes with the following house edge: 1,24% on player bets, 14,36% on ties, and 1,06% on banker bets. In Blackjack, you compete against the house. Cards have value. Numbered cards’ value corresponds to the number which is their symbol, while face cards are worth 10. Ace can be counted both as 1 and 10. Additionally, the game starts off with both the dealer and the player receiving two cards. The aim is to draw cards and reach 21 points. Or be closer to that number than the dealer. And if you amount to over 21, you go bust. Moreover, you can split your cards into two hands if you wish and play as if they are two separate hands. 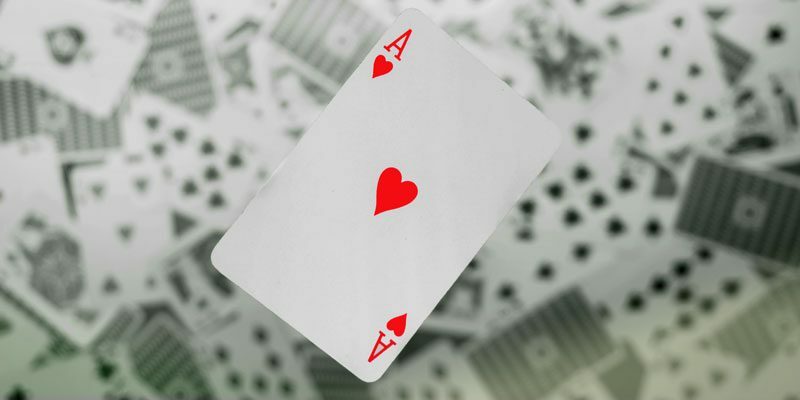 Baccarat is similar to Blackjack meaning that you chase a certain number of points. However, it’s more flexible. Your aim is to have 9 points, but when you go over, you don’t bust. Every time cards add up to double digits, you subtract 10 from the total. For example, if you receive a 7 and a 9, the value of your hand would be 6. In Baccarat, the dealer is not necessarily your opponent. There are three possibilities you can bet on: on the player (i.e., that you will win), on the banker (the dealer), or you can bet on the game resulting in a tie. Now that you know the basics of card games, be sure to remain patient and work on your game. Experience is what gets you ahead of other players, and not making rash decisions based on a hunch. Good luck, and most importantly, have fun!